On October 27, NEHGS hosted a Family History Benefit Dinner featuring Bill Griffeth and Cokie Roberts, both accomplished news commentators and authors. Whereas Bill has written of his experiences with unexpected DNA results concerning his paternal side, Cokie has made a career of highlighting the lives of women in American history. In honor of her accomplishments, the Society presented her with a Lifetime Achievement Award for History and Biography and a beautifully hand-bound book of her ancestors. As I compiled her robust genealogy, I worked to include the kinds of stories that would interest an author of female biographies. Cokie credits her southern heritage for making her family aware of just who their people were. The strong oral traditions of the south meant that she grew up with family stories, as did her mother, Lindy Boggs, before her. The family has naturally focused on their unbroken line of public officeholders. In accordance with the times in which they lived, up until Lindy Boggs herself, these officeholders were all men. 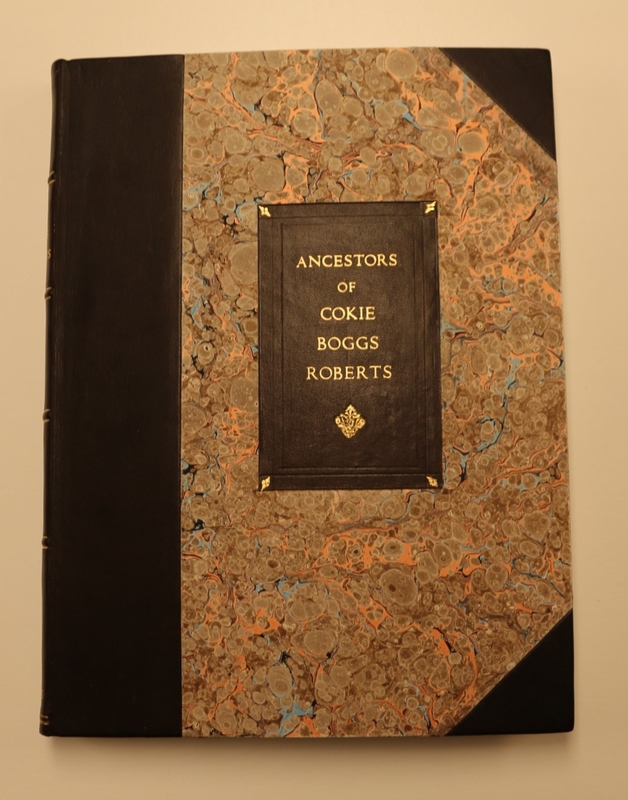 Rather than letting the story begin and end with the illustrious males in Cokie’s lineage, we made an extra effort to find the female ancestors with their own stories to tell. With the help of my colleagues, Meaghan and Eileen, we dug in as best we could in the limited time we had to seek out sources that would give us more personal perspectives. We found humorous and touching tales of the most recent generations in Lindy Boggs’s memoir. From the fourth generation back and beyond, the search, naturally, became trickier, which Cokie understands better than anyone. Upon receiving the genealogy and hearing more about four of her ancestresses, Cokie told us that letters written by women could be the most interesting sources because those penning the letters never expected them to be preserved. She said that men often wrote knowing their letters may be read by future readers, but that women tended to be more open and free with their thoughts. 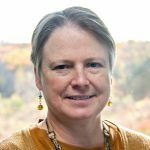 As one such woman, Abigail Adams, once famously wrote in a letter, “I desire you would Remember the Ladies, and be more generous and favourable to them than your ancestors.” The advice still holds true today. In our research we should seek out the words of women to understand the full story of a family and its community. Beyond that, we also can make a difference by preserving the words of women going forward. Interview women, encourage women to write, and write down these stories we have learned. Cokie summarized her whole philosophy when she said that history without half of the population is bad history. Let us strive for the best in histories, biographies, and genealogies by telling the stories of the entire population, regardless of gender. Lindy Boggs with Katherine Hatch, Washington through a Purple Veil: Memoirs of a Southern Woman (New York: Harcourt Brace and Company, 1994). Letter from Abigail Adams to John Adams, 31 March–5 April 1776 [electronic edition]. Adams Family Papers: An Electronic Archive. Massachusetts Historical Society, http://www.masshist.org/digitaladams/. Nice to encounter someone else from a family that harks from the very beginnings of our country! I was thrilled to discover that my roots go all the way back to Jamestowne. But I think I have bored my friends with my stories, so now I just release this family history tidbit to complete strangers, such as yourself. Thanks for giving me the opportunity. Interesting. 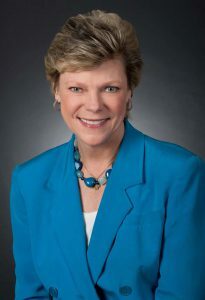 It was through my own genealogy research that I discovered that Cokie Roberts is a distant cousin of mine! Funny coincidence, to read about her here. I work on my family tree in a somewhat scattergun fashion, One of the things that turns up unexpected riches is going off on tangents in the “FAN” club. I’ve come across letters, diaries, notes, gossip, probate files, etc relating to other family members, sometimes a few families removed, or by neighbors, families linked in odd ways (an extra child farmed out, for instance) that held some detail about a female ancestor that illuminated her, sometimes in unexpected ways, often heartbreaking (simply because those are the things that tend to be noted). My greatest desire is to make a trip to some of the libraries with manuscript collections in areas I know my family to have spent time, and just read. All the good gossip is written by women.